Chicago police Officer Jason Van Dyke was convicted Friday of second-degree murder in the death of 17-year-old Laquan McDonald, marking a stunning end to a racially tinged case that roiled the city when now-infamous police dashboard camera video of the shooting was released three years ago by court order. 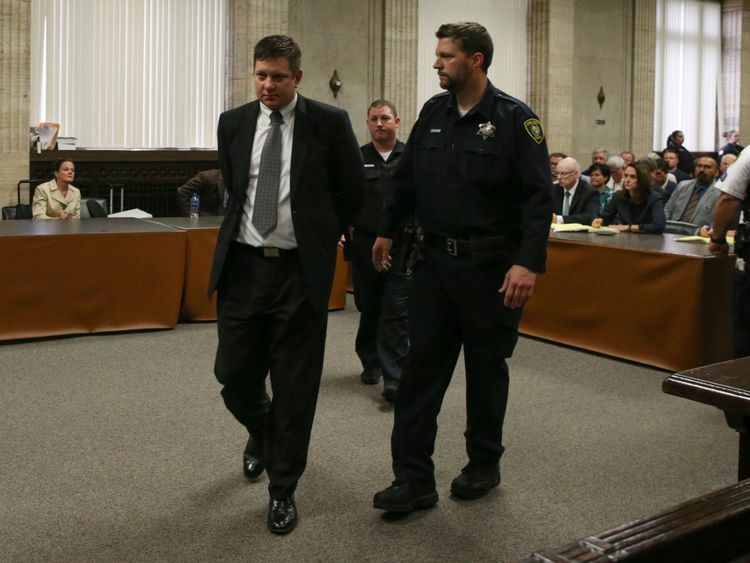 Van Dyke is the first Chicago police officer in half a century to be found guilty of murder for an on-duty shooting. He faces a minimum of six years in prison when he is sentenced by Judge Vincent Gaughan. The jury deliberated for about 7½ hours before finding Van Dyke guilty of second-degree murder instead of the first-degree charge on which he was indicted. The veteran officer also was convicted of all 16 counts of aggravated battery for each shot he fired at McDonald. The jury acquitted him, however, of a single count of official misconduct. Second-degree murder does not carry mandatory prison time — offenders can be sentenced to four to 20 years in prison or even receive probation. In Illinois, those convicted of second-degree murder typically serve about half their sentence. Well, I suspect that he'll be sentenced to probation.